Price Range : 299 To 2999 Rs/Piece. 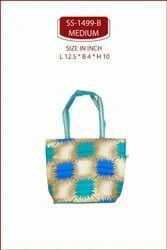 The traditional handbags are made by Tamang women SHG groups of West Bengal. The fabric used are from Cochin and designed by the women specially for the ladies to use it as handbags. 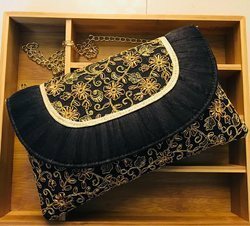 These are basic handbags widely used by girls .This tote bags are uniquely design with Embroidery and zips along with leather belts use as sling bag or clutch. This unique single piece available of this range Open Pocket, Interior Slot Pocket, Cell Phone Pocket, Day Clutches.